Last month Access Development, parent company of Access Perks, received an award that we are pretty proud of. Our organization was named a recipient of the Psychologically Healthy Workplace Honors by the American Psychological Association. That’s a big deal to us – and not just because we were only one of 23 companies that received the honor in the United States and Canada. 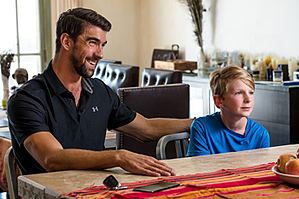 The documentary, which features an appearance from Olympic champion Michael Phelps, focuses on the impact of anxiety in our country, particularly among our youth. It was both heartwarming and heartbreaking, as children as young as 7 years old put into sober relief what it’s like when worry takes away your ability to function. To cope. More employers than ever are devoting resources to the mental well-being of their employees. And rightfully so. Mental health is of increasing concern in the United States, especially in HR Departments. 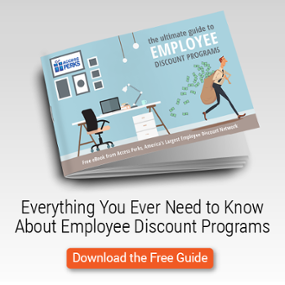 In many cases, employees spend more of their waking hours in the office than at home. And according to The American Institute of Stress, 1 in 4 employees named their job as the number one stressor in their lives. It may go without saying that stress affects one’s mental wellness. But it has also been proven to cause physical ailments like headaches, increased blood pressure and serious heart issues that require medical attention and often lead to missed workdays. In a study by Mental Health America, 35% of employees said they “always” miss 3-5 days a month due to workplace stress. And 81% said workplace stress affected their relationships with family and friends. So it only makes sense that organizations would want to invest in a positive work environment – not only for their workers’ well-being but also for the productivity of the company. For some employers, the focus on mental health begins in HR. For us, it starts at the top. We hope you do, too. For a bunch of great ideas on how to promote wellness at your company, check out How to Turn Your Workplace into a Stress-Free Zone.